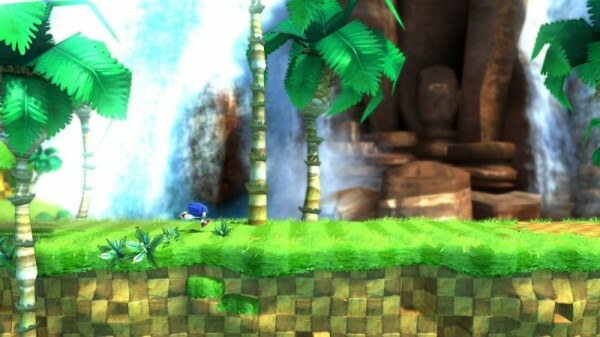 Wii is too weak for Sonic Generations – is a Project Café port possible? In the latest issue of Nintendo Power, Takashi Iizuka apparently explained why the Wii wouldn’t be getting Sonic Generations – the game SEGA is making to commemorate Sonic’s 20th anniversary. The reason was one we’ve all probably become familiar with by now – it’s simply not powerful enough for them to realize their ideas on it. Maybe this is coming to the Wii's successor? The primary goal for the console versions of Generations was re-imagining the series’ classic zones in vivid, high-definition graphics. The Wii hardware wasn’t a good fit for that concept, so we abandoned development on that, and decided that for our Nintendo audience, we would make a fresh start with a N3DS version of Generations. It might be a slim hope, but there may be the slightest sliver of a chance that we might get the game on Project Café, particularly considering that the “modern” 3D Sonic games have sold best on Nintendo’s white box before. Personally, I’m hoping that’s what really happened – that they dropped the Wii version of the game in favour of Café – but even if that’s not the case, I hope Nintendo takes this as a cue to make Café powerful enough to retain developers’ interest in it for many more years to come. What do you think? Not surprised. By the time Project cafe is released this game will be a year old, so their is no point porting it. too weak HHHHhhhhhmmmm!!!!! i dont see anything there above wii donky kong other than HD resolution the same graphics level or even better at 480p with ease on wii DONKY KONG PROVES THIS also 60 frames a second a 480p version would be a slice of cake…3DS gets a version is 3DS HD i think not….retro studios didnt make donky kong wii because it aas too weak See my point….sega talking poo again..
Oh c’mon, just admit the Wii is too weak. 3DS won’t use the same aspect as a Console. DKCR doesn’t look nowhere a good as Sonic Generations. Wii has crappy hardward end of. Next year is Sonic 2’s 20 anniversary. We’ll probably be playing that game. The wiil make a Sonic Generations 2… I think. If Project Café doesn’t release in late 2012, I’d absolutely want SEGA to put Generations on Café past the initial release date as a launch title. I really don’t want Generations 3DS to be withou a companion. I believe the real reason why Sega wouldn’t make Sonic Generations for the Wii is because the console is no longer profitable for them. Sales are down, and the competitors are pulling ahead. Processing power never stopped Sega from creating a Wii-version of Sonic Unleashed, neither has it been for other companies for their titles. Of course, I acknowledge that processing power does present a tangible issue for developers, but there are only a handful of them that are willing to specifically tap into the console’s power.